Replacing the sausagey rectangle base is encouraged. I picked a Chaos Warrior. 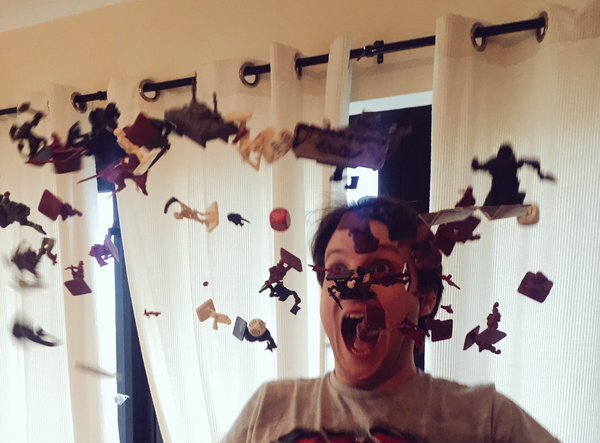 To the 7-year-old boy learning words from game components, but not pronunciations: a “Chouse” Warrior. Theottovonbismark has already shown off Slambo and the 4E plastic Chouse … ahem … Chaos Warrior. Here’s the HeroQuest dude alongside Battlemasters and Legend of Zagor Chaos dudes, for no reason other than to showcase the breadth of my vintage Chaos. Prejudiced against gorefs, means he’s a gorefist. Otto’s updating of this old plastic has freehand and a jazzy base. My version is painted so tamely in comparison. 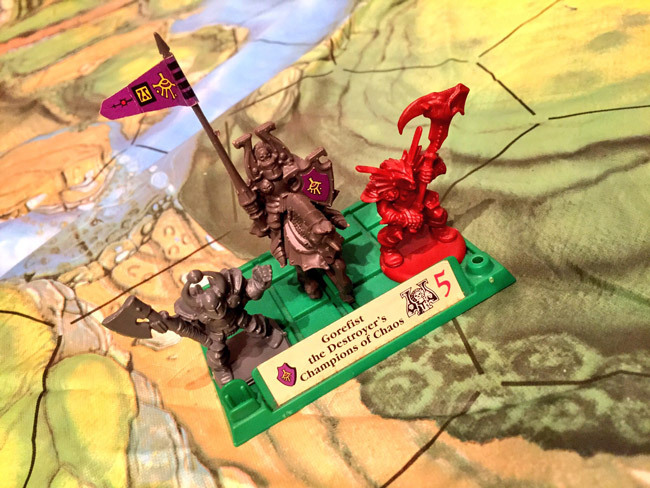 I’ve gone for the red-and-metal scheme which you might think is a homage to the original HeroQuest art, but is really so he ties into my 1980s Chaos Warband. Being a 1989er *I think* he is actually the newest miniature. Everything is relative. After modern-style crisp highlighting you start to realise the limitations of the miniature – a combination of 1989 plastic technology and 27 years of man-handling (“manchild-handling”?). 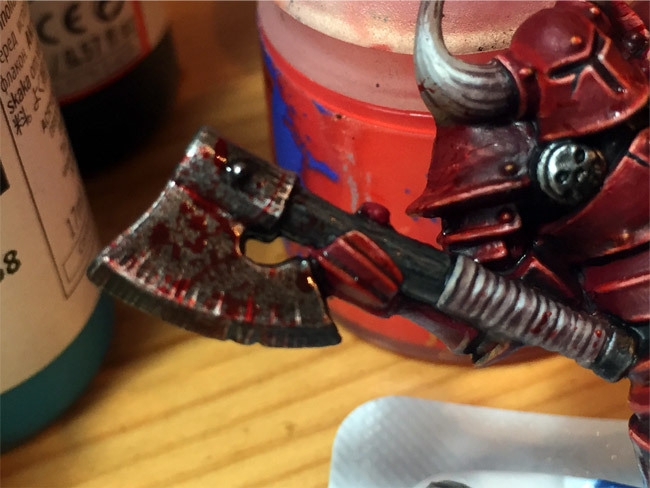 So to hide the dalrymples I painted some textures: sponge-chipping the armour; fluting on the horns; notching the axe blade; and blood-spatter over the finished piece. I’ve recently become aware that competition painters like different textures on a miniature to provide interest and contrast, and to showcase their skills. Judging by the spatter he dealt a nasty axe wound. The texture I’m fondest of at the moment is the blood-spats. 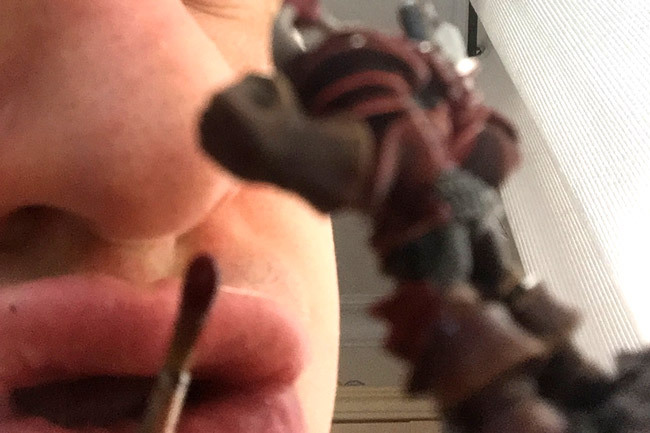 After a lot of trial and error with a Blood Bowl team recently I’ve hit upon the following method: load up a tiny brush with your blood-effect paint of choice, put it right in front of your lips, and blow. You instantly get realistic spines, satellite spatters, cast-off patterns and other terms I’m just regurgitating from a CSI episode. Guess this means he’s the Herald of the ApocaLIPS. That’s all for now! 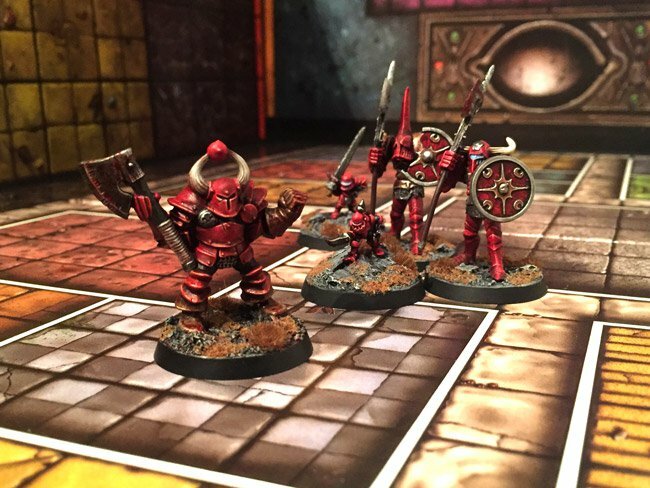 Check out the other miniatures in the HeroQuest Hero Quest.